The Prevent All Soring Tactics, or PAST, Act was reintroduced yesterday in the House of Representatives, and if passed, would strengthen USDA regulations regarding the act of soring Tennessee Walking Horses for exaggerated gaits. The PAST Act, which has been introduced in every session of Congress since 2013, has been reintroduced as of yesterday, January 22, 2019 in the House of Representatives. Known formally as HR 693, the bill is titled U.S. Senator Joseph D. Tydings Memorial PAST Act. 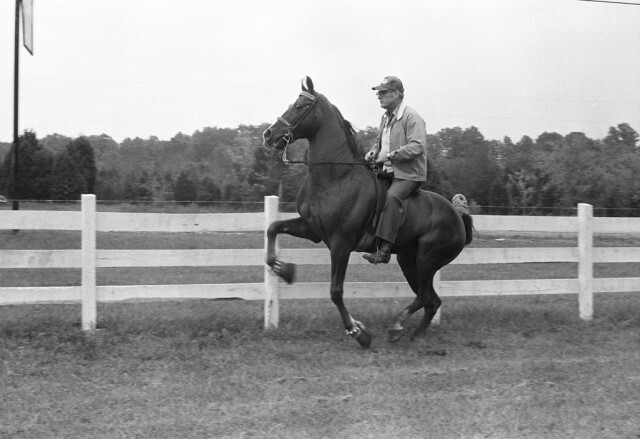 Senator Tydings was known as the “Father of the Horse Protection Act,” the original legislation of 1970 that first outlawed the practice of soring. So if soring has been illegal since 1970, why does it require stronger legislation now? Loopholes in the law have been reportedly abused by trainers in the Tennessee Walking Horse show industry and horses continue to be sored — that is, made to perform exaggerated high-stepping gaits by the application of caustic chemicals and other pain-inducing methods. The Horse Protection Act was amended in 1976 to allow trained third-party individuals to serve as inspectors at Walking Horse shows, allowing the industry to self-police — except in this case, the industry simply turned a blind eye and allowed these practices to continue. In the 115th Congress, the PAST Act had a staggering 290 cosponsors, indicating strong support for the bill that would allow it to pass easily had it made it that far in the legislative process. Various advocacy groups, including the Humane Society of the United States and Animal Wellness Action, encourage supporters of the PAST Act to reach out to their elected representatives and encourage them to support the bill. For a closer look at the PAST Act and some of the frequently asked questions about the bill, please see our overview from 2017. The language of the bill is expected to be identical.